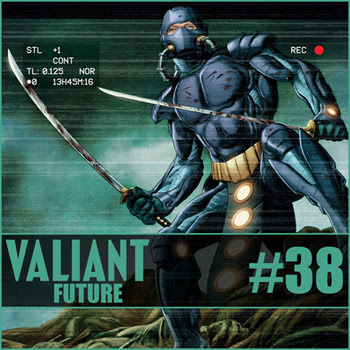 In this episode of Valiant Future, Gilad gets a third number one issue and Unity takes a bow. Plus, the contest winner is announced! Valiant Future - Wrath of the Eternal Warrior #1, Ivar, Timewalker #11, Bloodshot Reborn #8, X-O Manowar #42, X-O Manowar: Commander Trill #0, Ninjak #10, and Unity #25.